Factoring how bad the usual selection for the Grammys across the nominees are due to it being a $100 buy-in process which means only radio tunes ever make it in. Beck’s album Morning Phase is what I would argue to be Beck’s worst album, but that only showcases how bad the rest of the picks from this last year were out of the pop-top 5. 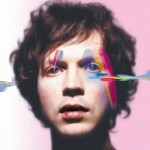 If you want to properly enjoy Beck, find a copy of Sea Change in surround as youtube obviously does not do it justice, mostly because this is still by far the best produced surround album and Beck’s best album. With Morning Phase you can pick out the parts where his aim was to sound like the D side of Sea Change but it doesn’t really do any justice. Looking at the record of the year going to Sam Smith, it’s sort of the same story with Beck, out of the alternatives, it was the best choice, but by far Smith is better featured in other music and not his own. Best Dance Recording and Best Dance Album categories were also a hilarious joke filled of the most generic music in the past 10 years out of the EDM side, and Aphex Twin’s worst album yet Syro. Best R&B album probably should have gone to Black Radio 2 by Robert Glasper Experiment especially factoring Black Radio (1) was overall solid album, but Ill leave this to other listeners to argue about but here’s the winner of this year (quite boring and generic) vs Black Radio 2. Best Improvised Jazz Solo category is clearly a joke if they are picking selections that were not live in the first place, though I do enjoy Chick Corea, Brad Mehldau and Joe Lovano, none of these were by far their best improv solos or even the best of jazz in the last year.